Another reading year gone by. While I haven't been on the blog much, it has been a rich year for books, with some of my favorites of the year pictured above. Notably missing is Luis Alberto Urrea's beautiful, autobiographically-inspired House of Broken Angels (it had to go back to the library months ago). 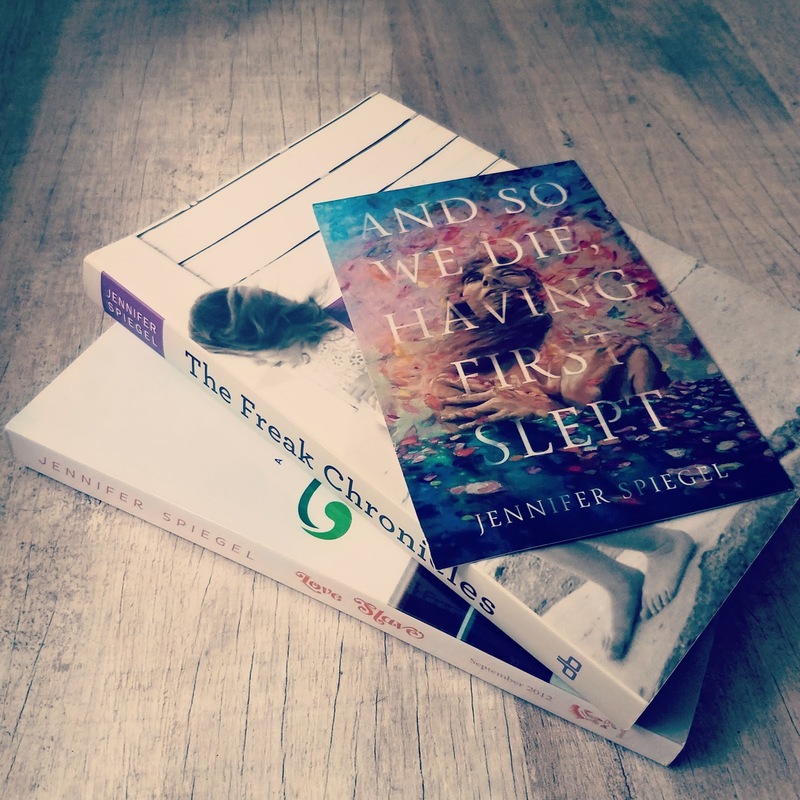 Maybe it was life in general or maybe it was the heightened, fraught climate of public discourse that left me more vulnerable, but it was definitely a year for books that got to my heart. House of Broken Angels and Rebekah Frumkin's The Comedown were sweeping, satisfying family sagas which left me dabbing away a few tears, as did Tommy Orange's brilliant and powerful There There, and Anthony Marra's intricately connected story collection Tsar of Love and Techno (for the record, Mr. Marra, you are now two for two in making this reader teary over your books, this latest also inspiring a homemade graphic). Leading the deliciously escapist, suspenseful, devour-in-a-single-sitting category were Claire Fuller's Bitter Orange and Tana French's The Witch Elm. The book which surprised me the most was Monique Roffey's The White Woman on a Green Bicycle, an Orange Prize finalist from years ago, picked up used at a book sale somewhere. This beautifully written novel explores the complexities of race, colonialism and complicity in a pivotal historical period in the Caribbean through the lens of a European woman, frustrated in her marriage, who begins a one-way correspondence with a rising Trinidadian political leader. There wasn't much of it that wasn't work-related this year, although I loved participating in Midwestern Gothic's 2018 Flash Fiction challenge. As always, the photo prompts were awesome - you can learn more and read the winning stories at the MW website. I haven't decided yet whether to try to find a home for my little pieces, or maybe just pop them up here. Some habits die hard, and though #FridayReads seems to have lost its momentum, I still often share mine out of habit. #SundaySentence on twitter has become not only my virtual book club, but also my tribe. Launched years ago by David Abrams, devoted readers share a Sunday ritual of observing and sharing one true or beautiful or impactful sentence of the week with other readers and writers. 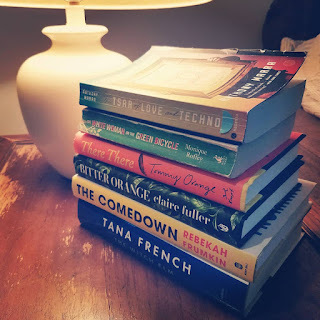 The sentences and their sharers inspire, enlighten, and often introduce me to a new book or author, but they have also created a real community of reading friends around the globe. What were your favorites of the year, and what books, dreams, or practices lie ahead for you in 2019? How do you tell a love story? And where do you begin? Don’t you only know it’s a love story at the end? It is always a special pleasure to be invited to read the latest work of an author whose books you have loved. Many thanks to Jennifer Spiegel - author of Love Slave and The Freak Chronicles - for a complimentary review copy of And So We Die Having First Slept (Five Oaks Press, 2018). In the way of the interconnected world in which we live, and by way of disclosure, I've gotten to know Jennifer a little bit - and admire her a lot - in the way one does with people with whom you've become friends on social media. This love story begins with Brett, a "very nearly lovely" college student in the early 90's, the requisite young adult friendships and romances; the also requisite scarring of her heart. She and her friends graduate, pursue careers, witness 9/11, and eventually put more distance between them. Brett moves across the country only to soon thereafter experience a life-changing accident. As she grapples with disability and rehabilitation, she meets Cash, a younger man. 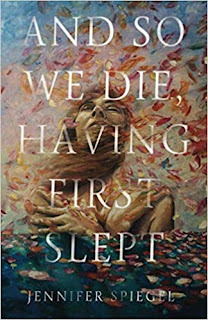 They too-quickly fall in love and embark on a turbulent marriage and parenthood, through which Spiegel explores a myriad of complex and interconnected issues of self, partnership, love, despair, faith, emotional intimacy, and more. Brett and Cash's story is told looking to the past, and (largely chronologically) working back toward the present. Occasionally I felt a timeline hiccup: For example, a moment of profound revelation for one character had already seemed quite clear to me as a reader. Spiegel also bravely takes on an examination of lived faith versus professed faith, including a church's potential or failure to help Brett and Cash and their family. This strand didn't feel quite as organically integrated with the characters as I thought I knew them, and with their timeline as it unfolded, and so this one aspect of their story didn't have as much impact for me as it might otherwise have. Brett and Cash are not easy characters, and theirs is not an easy love story. As one says, it's complicated. But then, it wouldn't be interesting if it weren't. Sometimes a book's cover gets it so right. 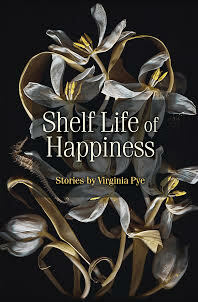 Like the withering flowers of Margaret Buchanan's stunning cover design, the characters in Virginia Pye's Shelf Life of Happiness (forthcoming October 2018, Press 53) are haunting and beautiful not in spite of, but because of, their broken complexity. The stories felt very intimate as I read them, exploring intense feelings like secrecy, failure, shame, longing, and regret. In Her Mother's Garden, a woman struggling with her aging parents' decline sells their beloved family home to a trusted friend, only to discover she has been betrayed. A wife planning to leave her husband in Crying in Italian can't help but follow blissful young lovers through the ancient ruins of Rome, leaving her children perilously unattended at a busy tourist site. In White Dog, a fading but fiercely independent artist rejects a stylish and successful young art dealer's attempts to reinvent and resurrect him. One of the things I loved best was the way the author conveyed a very visceral sense of these emotions. In Redbone, a man contemplating his life choices swims out beyond the safety zone: waves of water and waves of regret well up, increasing and overwhelming him as he becomes ever more helpless in a surging ocean. Best Man was the first, and my favorite of the stories, and the most striking example: Two college friends, Keith and Don are reunited for a trip to Reno for Don's wedding to Caroline. Don is a gay man dying of AIDS, Keith is a bit of a ladies' man, Caroline is a newer but dedicated force in Don's life. The story is compelling and heartbreaking, as Don grows weaker and the three race against time to have a wedding before it is too late. Don and Keith have a complicated past, and with the entrance of Caroline into Don's life, Keith struggles to make sense of all of it. 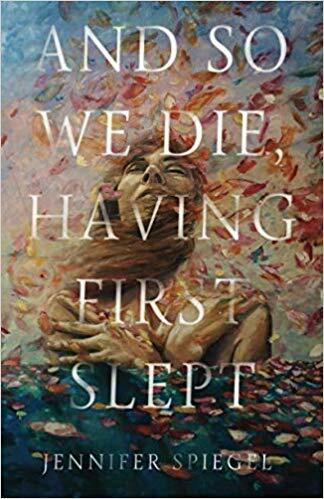 As I read, I could feel Don's frailty, the feverish heat of his skin juxtaposed against the chills of illness and a Nevada snowstorm, and the practically electric connection between the three in the heightened moment of Don's dying. There were a few very small things that didn't work as well, for example, a dad's suddenly severe reaction to his son at the very end of An Awesome Gap felt like just a bit of a leap, undermining a story that had me up until that point; the main character in New Year's Day felt just a little too naive from the start. Overall, however, I loved these stories and with all the images and questions they conjured up. Recommended for fans of short, literary fiction. My thanks to the publisher and publicist for a complimentary review copy of Shelf Life of Happiness. "Of those who've shut their eyes to the world with few or no regrets, it can be said both that their number is small, and that Leland Abdiel Bloom-Mittwoch Sr. was not among them." 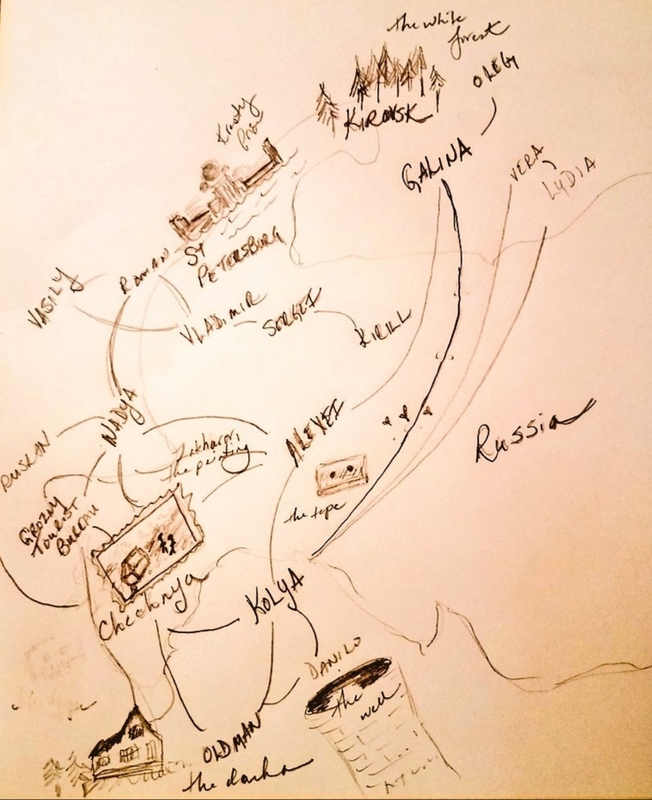 Two things I am always excited to find when I first open a novel: a map, and a family tree. The presence of either suggests that there is so much more here that you might need a guide to more fully appreciate and immerse yourself in it - complex bloodlines, or perhaps a previously uncharted world. 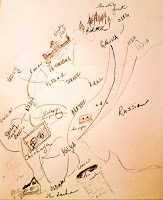 And while sometimes the map or chart is a necessary reference to understanding a book, other times, like this one, it is more of a visual preparation for the journey ahead: don't forget we are all connected. 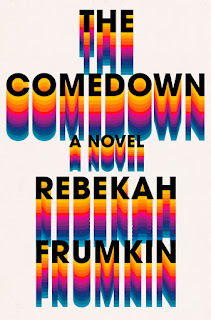 From the arresting first sentence quoted above, The Comedown (Rebekah Frumkin, Henry Holt & Company 2018) charges headfirst into a gripping first chapter, which, it will be no spoiler to tell you, culminates in our Leland, to whom we have very quickly become attached, throwing himself from the roof of a Tampa, Florida hotel. To understand why he should do such a thing, we travel back in time to Cleveland, Ohio, where a drug deal goes bad and cascades into a fateful chain of events that become this funny/sad/heartwarming and deeply satisfying family saga. The plot is punctuated with exciting elements: dealers, double crossers, murder, and a suitcase full of cash - but the story is really one of family and how the legacy of our actions and mistakes ripple across generations. The structure of the novel amplifies this: chapters move forward and back in time, and rotate through the cast of characters, steadily threading each person and place to another. In some books a timeline like this might get confusing, but I didn't find it so here. 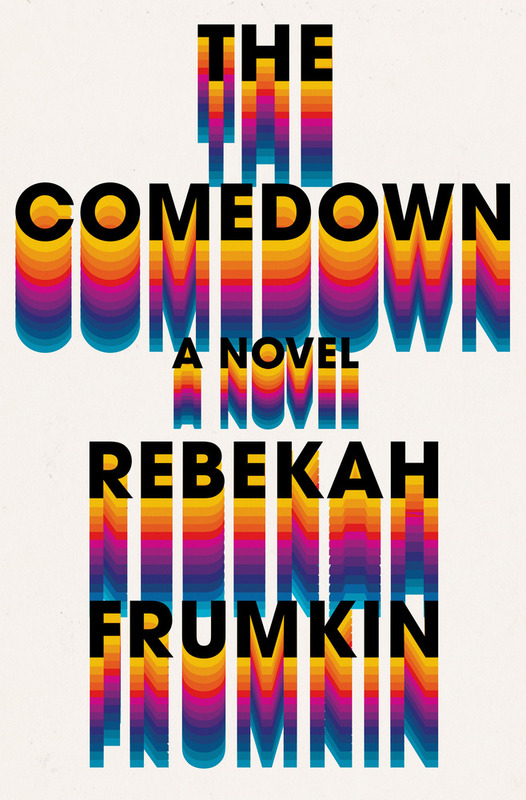 Frumkin's characters are so carefully detailed and thoroughly developed that any of them - including two wives, a mistress, a best friend, their children, and their lovers - could be an entire novel unto him/herself. And because they were so complete, and written which such love and humor, I loved them all, even the maddening ones, as if they were my own family. Follow the suitcase. Relish the writing. Miss them all when the book is done. I received my complimentary copy of The Comedown from the publisher.